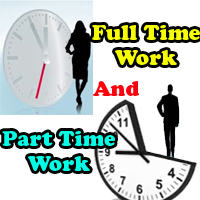 Free franchise to establish computer centre, earn without huge investment, make money through franchise, earn from computer teaching, work for unemployed. For the first time ABCSA is launching offer to provide franchise all over India without taking any franchise fees, Akhil Bhartiya Computer Siksha Abhiyan is one of the best institution to provide computer education in India. It is one of the best institution which is providing opportunities to the job seeker and the person who want to become Entrepreneur, who want to do something of own, whowant to enter in computer education sector. ABCSA is providing hazzle free admission process and also easy franchise process. One can open computer centre in any of the village of India, City of India, District of India easily and start earning from the first day. So don't waste time and don't wait for any opportunity, just contact us know the other process to start your own computer centre at your desired place. ABCSA makes courses for every sector or society and the professional courses are like that any one can start earning after completing the courses. Who can take franchise of ABCSA? Any one who is the resident of India. Any one who has minimum 2 computers. Who has passion to teach computer courses. 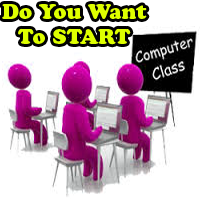 Who want to do special things in computer education sector. Who are able to pay only nominal processing fees. Note: By taking free franchise you are able to run only basic course. Akhil bhartiya computer siksha abhiyan is working in India for the years and generating computer professionals in all over India. 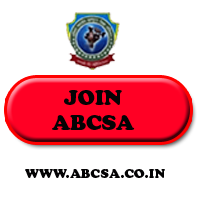 Be a part of ABCSA, take authorisation of ABCSA and be a part of an ISO 9001:2015 certified institution.